We’ve stayed at quite a few National Forest Service campgrounds as we’ve wandered the country. There are several things that make them appealing. Of course, the biggest one, they tend to be in forests! We’ve taken advantage of them in Montana, New Mexico, Wyoming, South Dakota and now Arizona. They’re rarely crowded. The campgrounds are usually remote enough that they aren’t often full, although, the closer you get to National Parks, the less that is true. They are well maintained and typically, are very clean. I’ve been meaning to blog more often this year. It’s my year three goal, but I have to go back a bit first. We are back in the Black Hills of South Dakota as we begin our migration away from cold weather. It’s actually still pretty warm here, although, the furnace has been on at night. My perspective of the western US is changing as I learn more about it. I have become aware of my ignorance of our history as a nation. I haven’t told the story here, but I had a rude awakening that has changed me. I’m not usually emotional, until this event, and it seems to have affected me when it comes to thinking about treatment of all people. Well, we left what became one of our favorite static spots. 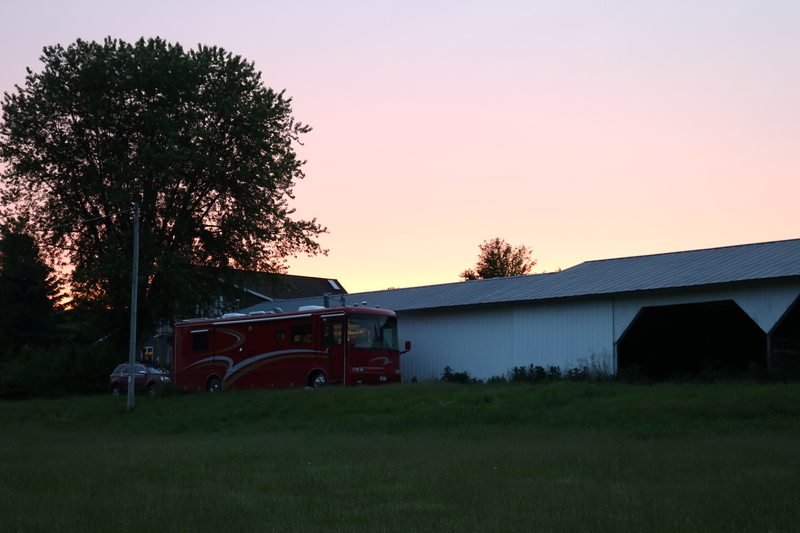 We were boondocking (dry camping) on a friend’s farm outside of Waunakee, WI. For nomads, we haven’t been very nomadic lately, since we spent most of May and June here. We are spending the summer in the Madison area of Wisconsin. Usually we spend about two months here in the summer visiting family and catching up on maintenance, etc., but this summer, we had so much going on we are ending up spending almost the entire time here. Looking back across the pasture to where we spent two months. This was a great spot for us! Our friend, Tessa, sold her farm and so we packed up and headed off to a new location. It was so beautiful and quiet on the farm that it will take a little getting used to being somewhere else. 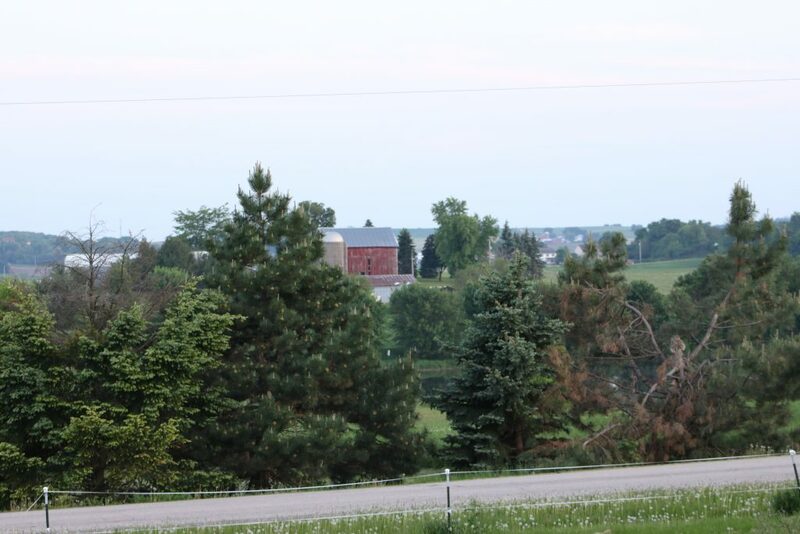 One of the things we don’t talk a lot about is what a pain it can be if you want to stay in one area for an extended period of time and you don’t have options like a friend’s farm. 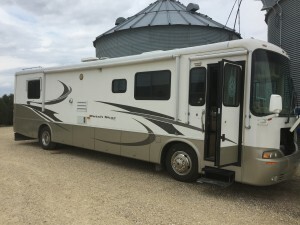 For example, in Dane County, Madison’s county, if you haven’t reserved a spot online in one of the four campgrounds that can accommodate RVs, you can plan on moving every few days. Even if you make reservations, assuming you can get a block of dates that long, you are limited to 14 days in any one campground, then you have to move for at least a week. So, it gets to be a hassle, and we prefer smaller, off the beaten path places. Places like city parks, fairgrounds and smaller country parks have provided us with some of our best stays, and are often free or very inexpensive. I’m sure we aren’t alone when we prefer and search for the campgrounds with fewer amenities, instead of more! Anyway, the problem I have with bigger, more formal campgrounds like the Dane County parks is that they aren’t anything super special, they are nice, but you end up spending about $30 a night, and still have to move, and some days, you simply aren’t going to have a spot, like over holidays and many weekends. So, we look for the hidden gems and other opportunities. It looks like I found one in Blanchardville, WI. It’s a little city campground, less than $15 a night, and right on a branch of the Pecatonica river. Downtown, well actually, anywhere in town, is within easy walking distance. Plus, we can stay here through August if we like. It’s about 45 minutes from Madison, but that isn’t too restrictive given the cost, the beauty and the fact that we have hookups. (Water and 30 Amp Electric). There is a dump station here too. I’ll add some pictures and shoot some video, but it looks like a winner! We’re hiding from the cold on the Gulf Coast. It was surprisingly chilly as we headed for San Antonio to meet up with my son and his family. We had a great time. 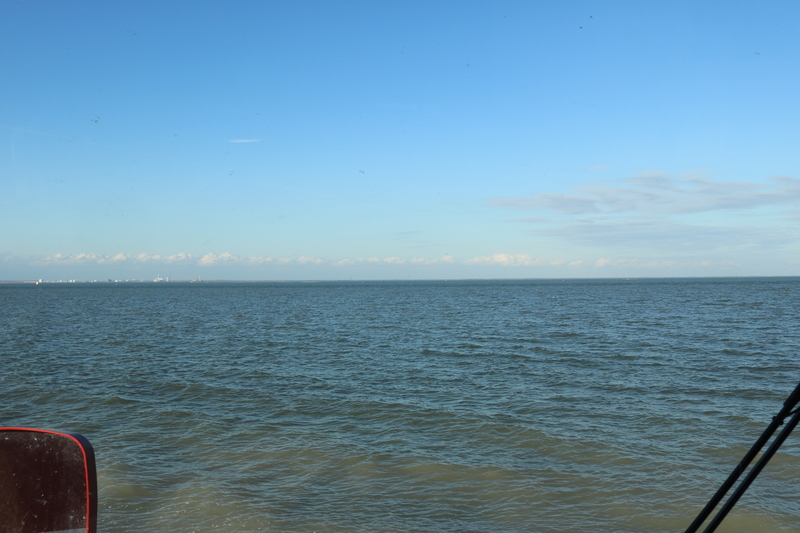 Now we are parked at Magnolia Beach, Texas, on the beach no less along Lavaca Bay. Tonight, I am sitting in the front seat staring to the north out of our windshield. It’s expected to storm tonight as a cold front moves through. I can see lightning off to the north east. 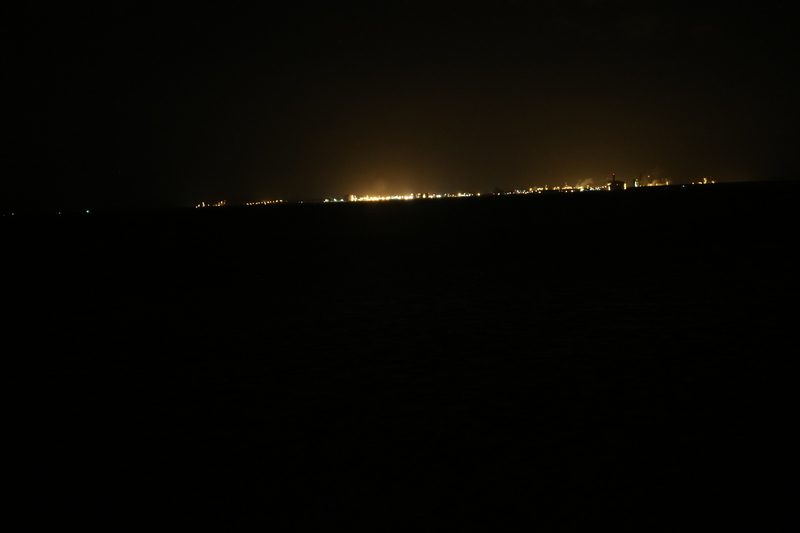 Same general direction at night. Big refineries and plenty of industry located all over the gulf shores. It is easy to see why hurricanes can impact so much of commerce and life here. The thing that strikes me is how much the Gulf of Mexico impacts the weather up north. The plains states rely almost entirely on the warm humid air of the gulf to provide the rains to sustain agriculture all the way to North Dakota and beyond. As a land lubber, completely ignorant of the ways of the sea, and open water. I can’t help but wonder if the sea level will change much as the storms move through? It isn’t like a hurricane or anything, but if the wind blew pretty hard, I can’t help but wonder if it would push the water level up to the RV? I hooked the car up just in case we need to make a fast getaway, LOL. I started learning how to photograph the night sky so that I could try and capture the beauty of the sky in one of the few places left on Earth where it is actually dark at night. 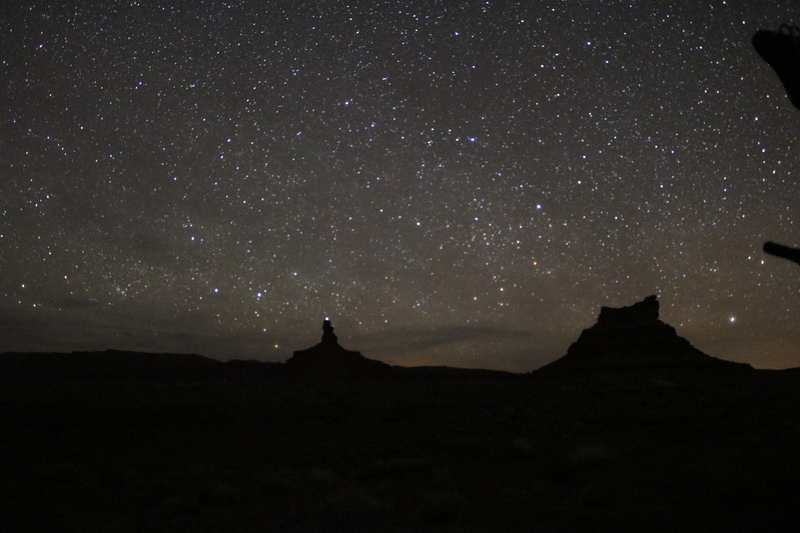 It is so dark here in Valley of the Gods, Utah, that when you step outside it takes a bit of adjustment to see at all, other than the stars above. Basically, the most critical setting is the f-stop. It needs to be set so the aperture is as wide as possible, which means a low number. Then the ISO needs to be set low too. This seemed counter intuitive to me, but high ISO with long exposures creates a “noisy” image. Finally, the length of the exposure. So, I set the ISO to 200, the F-stop to 2 and exposed the image for 30 seconds using the remote control. Here is the final product, with no retouching.